When a prosecutors’ office announces that, as a matter of course, it’s not going to pursue any type of drug case, let alone marijuana possession cases, that’s cause for celebration. Take it from someone who’s been mired in Baltimore’s “war on drugs” for the last 15 years, working as an attorney in the Public Defender’s Office representing its chief target: poor black people. The war’s lack of effectiveness in reducing either drug use or crime – along with its grossly disproportionate impact on the families I help represent – makes the battle a costly bust. So Baltimore City State’s Attorney Marilyn J. Mosby’s decision to stop prosecuting marijuana possession cases is a step forward. But it’s worth asking questions about the motivations behind Mosby’s announcement – which was first trumpeted to the New York Times, not to the local media – and her failure to obtain much needed buy-in from the police. The absence of the latter is critical. Without a coordinated effort to maximize the positive impact of Mosby’s decision by City Hall and especially by the new police commissioner, the war on drugs will continue to inflict disproportionate harm on black Baltimore. For years, social justice advocates and community leaders have been pushing for a rollback in prosecuting cannabis cases. Mosby, who ran for office as a reformer in 2014, was not on board. Even in the wake of Freddie Gray’s death, which arguably was attributable to the drug war’s policing tactics of chasing citizens and heavily patrolling black neighborhoods, Baltimore’s chief prosecutor did nothing to decriminalize marijuana arrests. And nothing came up in her 2018 campaign for re-election – except when her opponents floated the idea of not prosecuting basic weed cases. Mosby is a former line-prosecutor who, less than a decade ago, would handle several dozen minor drug offenses – including marijuana cases – on a single day (in several of which I was opposing counsel). Her conversion seems like a dramatic awakening. Adding to the notion that Mosby’s marijuana announcement was more “virtue signaling” than meaningful is the fact that it won’t directly change much. State lawmakers have already decriminalized small amounts of cannabis (less than 10 grams). The cases that Mosby is pulling back on are what are referred to as “simple possession” – 10 grams or more. Her office decides what falls into this category. According to Baltimore police, there were 363 arrests for marijuana possession last year, 1.6% of all arrests. So, there’s not a lot going on here for Mosby to put aside, despite claims that her decision will free up resources for more important work. In many cases, no weed was actually recovered. What’s more, the same cops seem to have the most acute olfactory glands. Many of the arrests were already getting dismissed in court – or not prosecuted – and the police don’t really search out marijuana possession. There are ways to build on Mosby’s policy change to improve the justice system’s handling of drug cases. As marijuana dispensaries sprout up all over the city, Mosby says there will be no more possession cases. But what about the ubiquitous felony of Possession With Intent to Distribute? PWID requires no threshold amount and it carries five years. Her office has total discretion in charging PWID based on the circumstances of the case (observations of sales, packaging materials, money, etc.). Mosby’s proclamation should apply to PWID cases, too, or at least those of lesser quantities of weed. PWID convictions, though more often for harder drugs, still incarcerate several thousand people in state prisons. Often PWID convictions are levied based on an individual’s presence in a residence or a vehicle where drugs are found, but may not belong to them. Mosby should reconsider her office’s approach to charging so many PWID cases, and, for harder substances, use this opportunity to lower more charges to possession or offer more alternative options to prison. 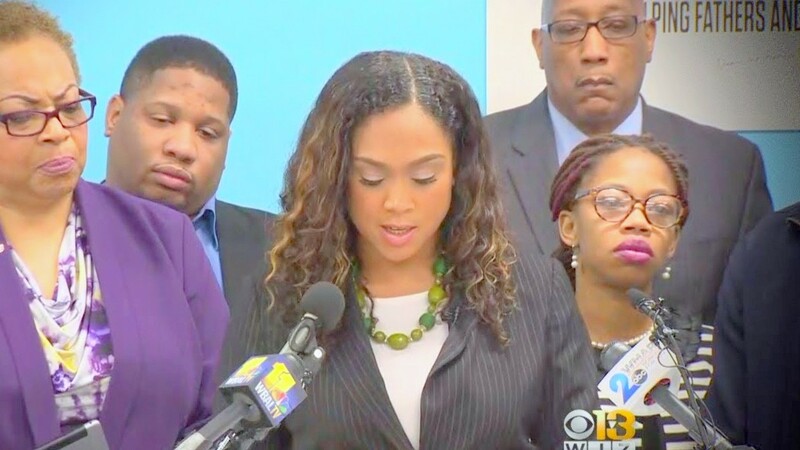 Another issue surrounding Mosby’s decision concerns policing; namely, that the Baltimore Police Department has so far not expressed support for her decision. 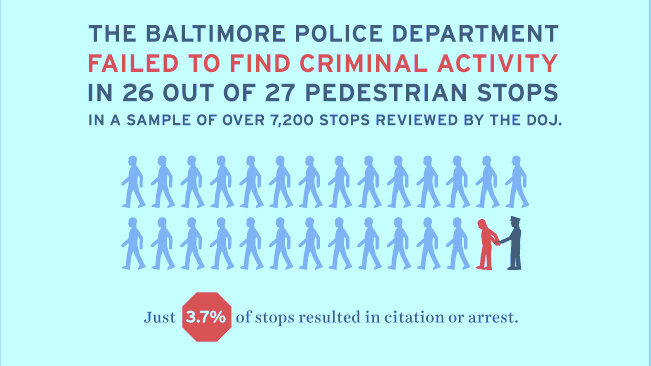 The lack of police buy-in is troubling since the Department of Justice’s 2016 report on Baltimore policing found that 26 out of every 27 pedestrian stops (out of thousands) yielded no criminal activity. The single pedestrian stop that does net an arrest – maybe drugs, a gun or worse – is a case that I may get. A small fraction of those cases is tried or litigated as to the legality of the police stop. Unfortunately, higher courts permit searches of people and cars based on the smell of weed. In many cases, no weed was actually recovered. What’s more, the same cops seem to have the most acute olfactory glands. Mosby’s prosecutors have consistently argued that the smell of marijuana is cause for such a search. Most judges will believe the officers and deem these searches legal. With Mosby’s new stance, though, taking this position when we know possession isn’t being prosecuted seems hypocritical. Her office should stop making that argument. And at the very least, judges should scrutinize more carefully cops’ testimony on smell searches. Doing so not only protects the individual in court, but everyone else that the DOJ has recognized as being stopped for doing nothing wrong. Todd Oppenheim is an attorney in the Felony Trial Division of the Baltimore City Public Defender’s Office. He can be reached at toppenheim@opd.state.md.us and twitter at @Opp4Justice.